Latest news, style, fashion, gossip, and more! About me and my website! Sneak peek to katy perry's new music video! Katy Perry's new single, "Roar," is being talked about everywhere! After her awesome performance at the Video Music Awards last Sunday, everyone is even more hyped up about her hit — but wait until they see the preview for her music video! What do you think of Katy's music video so far? Let me know in the comments! All any one has been able to talk about this past week is Miley Cyrus' controversial VMA performance. While her family and fiance have all voiced their opinions, Miley kept quiet -- until now, that is. The singer recently opened up to the Sunday People, admitting that she's got some problems. "I'm messed up," she said. “I have so many issues... everyone does dumb stuff when they are messed up." Miley went on to talk about the Disney image she once portrayed, admitting that she was never as much like her character as some people thought. It seems that Miley is going through a tough time right now. Do you think people should be less critical to Mileyr? Or should she try to deal with her issues in a different way? Let me know in the comments also if you watched the VMA's!!! You'll never guess who went on this date with Harry styles! It appears that Harry Styles went on a date last night! The One Direction member was spotted watching West End musical Book Of Mormon with model Cara Delevingne. This photo on the side was snapped by a nearby fan. Harry and Cara have been friends for a while so we're not sure whether their date was platonic or romantic.Do you think the two would make a cute couple? Let me know in the comments below! One Direction This Is Us! 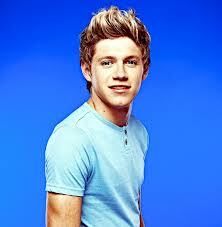 Who is going to see the one direction movie? I know i am! I've already saw it twice i just cant resist. 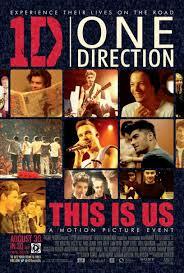 In this motion picture movie explains one directions success and there story as they rode to fame!!! Guys, if you love One direction as much as i do i definetly recommend going to see this movie its amazing!! Tell me in the comments if you have see the movie or just tell me your fav 1D song! Emblem3's "Nothing to Loose tour"! Who loves Emblem3? I know i do those boys are just to hard to resist! Anyone going to see them on there Tour this year? I actually did, i went to there first concert of the tour at Hampton beach and met them! They're just to nice. If u get the chance definetly go see them, its worth it! With Emblem3's new song "Chloe" breaking through the charts as the boys rise up with there new emblem! "Nothing to loose" there first ever album already hitting the charts on itunes! Comment below your fav Emblem3 song and check them out if you haven't already! And check out there new song "Chloe" Below. The rumors about Selena Gomez and Justin Bieber's recent split must be true because it looks like Sel's flirting with a new guy -- British cutie George Shelley of Union J, and there's a video to prove it! George isn't shy at all when it comes to letting everyone know he has a thing for the "Come and Get It" star, previously telling Sugarscape he has "an undying crush on her." When he got a personalized message from her while he was on CBBC's Friday Download, he looked like he was about to have a heart attack -- in the cutest way possible. Check Out This Amazing Mashup of "The Way" & "Heart Attack"
Where we are 2014 1D world tour! Last week Niall Horan tweeted that the "most exciting 1D news ever" would be announced today. So what was One Direction's big reveal? The boys are planning to head out on an epic, worldwide stadium tour next year, and it's named after their upcoming album, Where We Are. The dates for shows in the UK, Ireland, and Latin America can be found here; stay tuned to find out when they'll be heading to the US! Will Ariana Grande's "The Way" Be the Song of the Summer? Ariana Grande has been unstoppable lately -- it's no wonder Demi Lovato thinks she'll be "the next big thing." Days after debuting "The Way," the singer's new single skyrocketed to #1 on iTunes, her new Nickelodeon show Sam & Cat will be premiering in a few weeks, and according to the singer, the songs on her upcoming album, Daydreamin', are even better than her current single. Do you think Ariana will be able to add "song of the summer" to her list of achievements? I sure hope so! When MTV News told Ariana it's definitely a possibility, she said, "You think so!? Oh my god! Really? I have chills! That's exciting!" "I just can't for [my fans] to hear the rest of [the album] because it just gets better," Ariana continued. "'The Way' is a great song in my opinion but the rest are, I think, better. So it's cool." Ed sheeran defends taylor swift! Even though Ed Sheeran has said he would never date Taylor Swift, he still considers her one of his good friends! Just like any BFF, Ed gets increasingly frustrated when people make fun of her and her love life. "The rumor that she dates a lot of people is a misconception, because in the time that I've known her, which has been almost two years now, she has dated two people. Fact! And in her entire life, I think she's dated around five or six people." He continued, "I mean, I have female friends at home who would not have the same reputation as Taylor in media that have been with ten times more people than her." It's easy to tell that Ed and Taylor have a special bond! According to "The A-Team" singer, he really enjoys Taylor's company! Watch 1D's cover of the backstreet boys! Last night at a concert in Stockholm, Sweden, One Direction decided to do a cover of The Backstreet Boys classic, "I Want It That Way." Given the longstanding rivalry between the bands -- not to mention the recent Twitter feud between Louis Tomlinson and Tom Parker -- we think that 1D could have been trying to one-up The Wanted. Preview The Wanted's New Single: "Walks Like Rihanna"
Listen to Victoria Justice's Amazing Cover of "Some Nights"
fun's hit single "Some Nights" is one of the catchiest songs around. But you know what makes it even better? 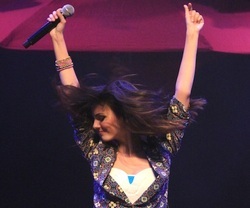 When Victoria Justice is the one who is singing it! Us here at cheetah beat are assuming the picture was taken a few days ago because, there's no trace of his latest angel tattoo above his wrist or tiger tattoo below his shoulder. Hey Cheetah Beat Girls, so alot of you guys were asking for me to add stuff about Ross Lynch and his band. So i asked my closest reporter to do 74 Ross lynch facts! Here ya go. 1. Ross loves Japanese chewing gum. 2. Ross has a Girl Sean Malto deck, which is a skateboard. 3. Ross is an adrenaline junkie. 4. Ross once spent three hours at Pedlow skate park. 5. On Ross's 15th Birthday he played hockey with Joe Sakic from the Colorado Avalanches. 7. Ross's favorite movies are Romeo and Juliet, & Avatar. 8. Ross's favorite color is bright yellow. 9. Ross loves everything to do with flying (e.g. kites, paragliding, RC planes). He is waiting desperately to be old enough to get his flying license. 10. Ross has to wet his hair before going into swimming pools with chlorine in them, otherwise, due to the coloring in his hair, his hair turns green. 11. Ross is trained in capoeira, a Brazilian art that combines martial arts, sports, and music. 12. His brother Rocky got him into the band The Script. 13. If he could be any dog, he’d be a Siberian Husky. 14. He Has a RC T-28 Trojan (that's a smallish Remote controlled plane). 15. He once dreamt about being on a G6 jet plane with Demi Lovato. 16. He likes old school animated movies (e.g Disney's Tarzan). 17. His parents, Mark and Stormie, met at an Elton John Concert. 18. He didn't know you could post Video’s on Twitter until around the 14th of June, despite Twitter having that function for months. 19. His agent's name is Stella. 20. He went to see Riker on the Glee Live Tour at the Staples Centre. 21. Ross got verified on Twitter on May 15, 2011. 22. His biggest pet peeve? "When you're talking to someone and they get out their phone and start texting, or makes/answers a phone call." 23. He was victim to his 2 older brothers Haunted Toilet Prank, where they turned the lights off in the bathroom and started to play scary music. 24. Ross has been playing ice hockey since he was 3. 25. Sometimes the rest of R5 call him "Rossy Jersey Shor". 26. Ross isn't overly keen on scary movies. 27. In June of 2009 he texted two fans from his dad's phone because they’d left him their number, so he thought it would be a good idea. One of the fans nearly fainted. 28. Ross tends to chew his food on the right side of his mouth. 29. Ross is in a band with two of his brothers, sister, & friend, called R5. 30. Ross almost always holds the microphone in his left hand. 31. Ross fans are often called Rossians, Rossies, Roshorers, or Ross-a-roni's. 32. Ross claims he has never worked out a day in his life. He says he gets his muscle from playing crazy sports like parkour & hockey. 33. When playing hockey, Riker usually plays center, Ross, right wing, and Rocky, left wing. 34. Ross's current favorite video game is Battlefield 3. 35. Ross & Rydel's favorite Maroon 5 song is Stutter. 36. Ross's favorite kind of pizza is Hawaiian. 37. Ross's guitar's name is Luna. 38. Ross's current favorite song is "Bad Enough For You" by All Time Low. 39. Ross's favorite band is The Script. 40. Ross was born & raised in Littleton, Colorado. 41. Ross's birthday is December 29, 1995. 42. Ross's favorite word is awesome. 43. Ross & his uncle Shor were born on the same day, which is why Ross's middle name is Shor. 44. Ross & Riker were extras in Hannah Montana's music video girl for "Ordinary Girl". 45. Ross is almost 6 feet tall. 46. Ross weighs approximately 150 lbs. 47. Ross would love to cover one of The Script's songs for Austin & Ally. 48. Ross loves to draw & sketch. 49. Ross has been dancing since he was about 5 years old. 50. Ross's favorite candy is Cadbury Easter Eggs. 51. Ross loves nearly all types of food. 52. Ross bought a violin with his brother Rocky, though neither of them have any idea how to play. 53. Ross's worst injury? "I was playing ice hockey and my helmet fell off and then a skate came across my forehead." 54. Ross got #1 on Radio Disney's DCT3 for the first time on January 17 2012. 55. A fan asked if Ross dyes his hair, & this was his response: "Lol once a year i get it a little bit brighter... But that is it." 56. The first taping for the pilot Austin & Ally was February 28, 2011. 57. The first screening of the pilot of Austin & Ally was April 6, 2011. 58. Ross loves the rain. 59. Ross went paragliding with Rocky, Ryland, & his dad for the first time on May 20, 2011. 60. Ross once tweeted: "I dont want to live in a neighborhood :(... I want to live on the Beach, or somewhere in nature! :)"
61. Ross also once tweeted: "Just look up and think that your living on a tiny little rock in a huge universe! Life is short!" 62. Another random tweet from Ross: "follow your dreams and reach for the stars!" 63. Ross's favorite quote that he came up with, is "Music is poetry with personality." 65. The first time Ross was on Radio Disney's Dot Com Top 3, was January 8, 2012. He got third place. 66. On January 17, 2012, Ross got first place on Radio Disney's Dot Com Top 3. 67. Ross dances with his hips quite often. 68. Ross keeps the beat during a song by tapping his left leg. 69. R5's very first tour started on May 3, 2012, & ended on May 15, 2012. 70. Ross reached 100,000 followers on Twitter on May 29, 2012. 71. Ross filmed his first movie, Teen Beach Musical, in Puerto Rico from the beginning of February to the beginning of April. 72. During an R5 concert in Utah on the R5 West Coast Tour, Ross dropped his microphone while singing A Billion Hits. 73. Ross's celebrity crush is Olivia Hussey (from Romeo & Juliet ). Niall Horan Cries in Dublin During "Little Things"
Being on stage in his home country was so much more than just a little thing forNiall Horan and it showed during One Direction's third concert in Dublin on March 12. After four days in Belfast, the boys returned to Dublin's O2 for two more nights in front of Niall's home crowd. While performing "Little Things," Niall was overcome with emotion as the crowd erupted into enormous cheers for him. A close-up shot of the Irish lad during his solo showed his tears and smile. Taylor Swift opened up the first show of The 'Red' Tour wearing high-waisted leather shorts and her signature red lip. The first of the 47 show tour was in Nebraska. The '22' singer was beyond excited to welcome fans to the show and fans were just as excited to be there. 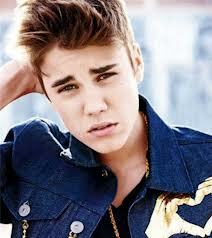 Although it seems Justin Bieber has not had a good day in a long time, he's not going to let it get him down. In the last week he's fainted, gotten into an altercation with a paparazzi, and had tons of other rumors flying around. The rumors have ranged from management forcing Justin into a vacation to his family being ashamed of him and planning to host an intervention, which would have included his close friends, parents, grandparents, and ex-girlfriend Selena Gomez. But, Justin has had enough of all of the bad press and is speaking out. In an Instagram message posted earlier today, March 14, Justin went on about how his "team has been telling [him], 'keep the press happy,'" but he thinks otherwise. "I'm tired of all the countless lies in the press right now," Justin wrote. "My family is beyond proud, and nothing's been said by them. I honestly don't care if you don't believe in me because I believe in me, my friends believe, my family believe, my fans believe, and look where that's gotten me." Justin has been touring in Europe and promoting his new album, but he still wants his fans to know that he's paying attention to what's happening around him. "All this isn't easy," Justin wrote. "I get angry sometimes. I'm human. I'm gonna make mistakes. But all the love from you guys overcomes the negativity." Austin Mahone "Say your just a friend!" Taylor Swift and Connor Kennnedy brake up! reportedly come to an end. the couple to take and they quietly split. until the end of the year." Check out the teaser for justin biebers new "girlfriend" commercial! "Girlfriend" this past summer, we just cannot get enough of the amazing scent! Check out Zayn Maliks new puppy! "New puppy :) what shall we call him x"
Justin biebers new hair cut! Justin Bieber just got a new haircut! golden brown locks on top. Check out a pic of his new 'do above!